Our range of high quality laminated and unlaminated PP fabrics are widely used for wrapping of steel coils, tyres and other industrial products. All the layers of the fabric is treated with UV stabilizers to provide excellent protection and longevity. These fabrics can also be used for covering aircrafts, trucks, tempos, trailer trucks, railway wagons, storage of industrial machines (Without shed in open), agriculture products. This category of PP fabric is available in roll form and can be run conveniently on automatic cutting and stitching machines. Owing to our expertise in this field, we offer our clients a vast range of PP woven fabrics that are used in the various industrial applications. These are woven using high quality polypropylene material and are known for their tensile strength, low elongations, dimensional stability and wear resistance. Further, these are in strict compliance with the international quality standards. Our range of fabrics is used by manufacturers of FIBCs, Tarpaulin and other Bags. Typically these bags have the application of sand bags, polymer bags, food grains, cement and many more. 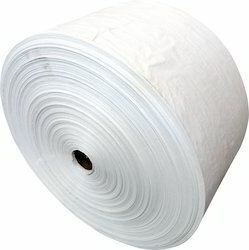 Another high technical and high tenacity product we offer is fabric for Dunnage bags. In general, our fabrics find application for packaging, scaffolding and various other end products. 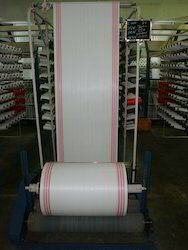 We offer PP woven fabrics in tubular as well as open flat too. Our speciality is in offering wide width tubular fabrics. The range offered is from width 15" to 46" tubular and upto 90" lay open flat. The GSM of the fabrics ranges from 60 to 300 depending upon the width and construction of the fabric. Our range of fabrics are used by manufacturers of tarpaulin and bags that are used in the packaging of rice, wheat, flour, cement etc. Another high technical and high tenacity product we offer is fabric for FIBC an Dunnage bags. In general, our fabrics find application for packaging, scaffolding and various other end products. Looking for PP Woven Fabrics ?